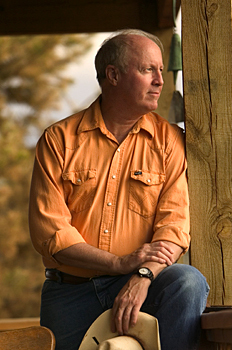 Born in West Texas and raised in New Orleans, Michael Pettit graduated from Princeton University, then ran a family ranch in Pearl River County, Mississippi. For the past thirty years, he has written award-winning prose and poetry published in numerous anthologies and journals. He has been a professor of English and also directed the Mount Holyoke Writers Conference and the Santa Fe Writers Conference. A National Endowment for the Arts fellowship winner, Pettit's books include Riding for the Brand, winner of a New Mexico Book Award for Best Southwest History; The Writing Path; American Light; and Cardinal Points, which received the Iowa Poetry Prize. He lives in Santa Fe, New Mexico.